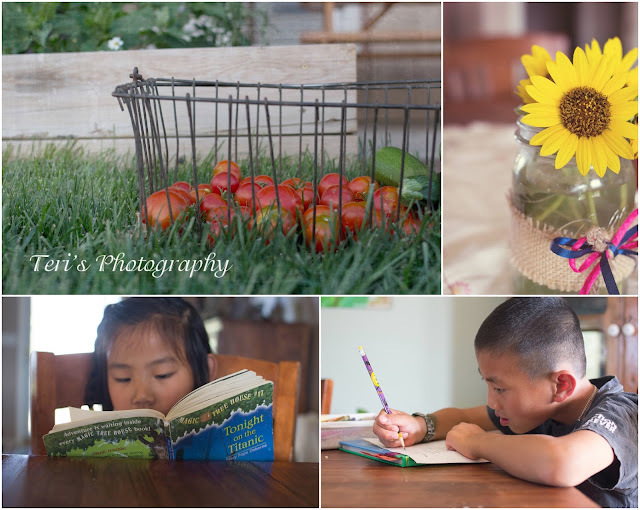 August in our home is about a lot of kitchen time and the start of school schedules. Some easier to wrap our heads around than others. 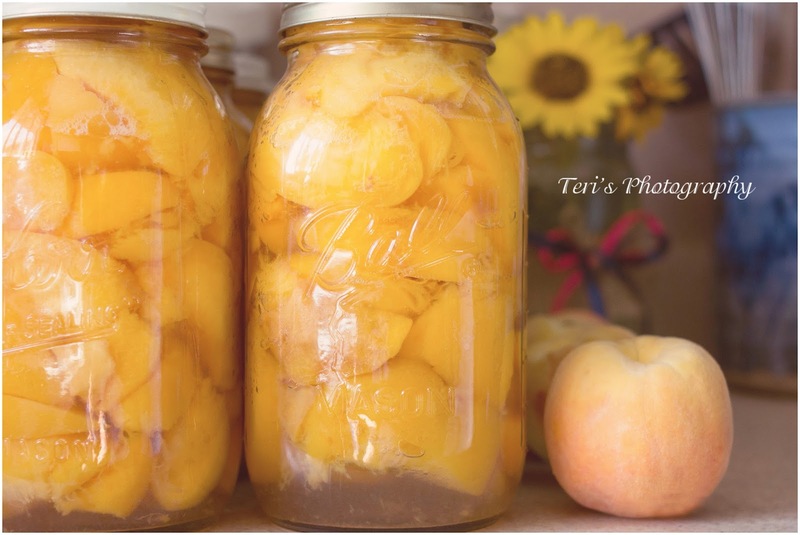 It is a time for all the carefree days of summer to be gone as we look towards a year of learning and from I am seeing eating a lot of peaches! For all the anger I felt towards the grasshoppers who loved my garden I still won in some respects. Everyday there is more tomatoes to eat or can and zucchini for yet another night. We have all done some snapping of beans and shelling of peas, most of which are eaten before I can even cook them. I have to say this is my favorite time of the year when I walk outside to find dinner. School work has been a little harder to wrap our heads around but we are getting there! After all it will be cold soon and isn't that the perfect time for a book!